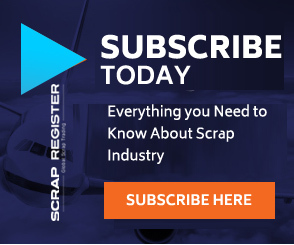 MUMBAI (Scrap Register): India’s Iron and Steel exports fell by 25 per cent to 8 million tonnes in the April-November period of 2018 as compared with 10.7 million tonnes (mt) in the same period a year ago. In terms of value of Steel exported, India earned $6.52 billion in the April-November period against $7.36 billion in the same period a year ago. Steel exports to the US, EU nations (Italy, Belgium, Poland and Spain) as well as Asean nations (Vietnam, Indonesia and the Philippines) fell drastically. With the European Union and the US building tariff walls and restricting Steel imports, India has to either make these two major partners keep their markets open or find new markets. Eralier India had cut its duties on Steel imports in free trade pacts signed with Japan, Korea and the Asean countries, which resulted in a surge in imports from these countries and China. The Indian government is mulling a minimum import price on select Steel products, including flats and stainless Steel, besides introducing stricter quality control norms across all Steel imports.